As most of you know, we recently moved from San Diego to Jacksonville, FL. The one thing I hate about moving is trying to make all my furniture and decorations fit in a new place. We had to move into an apartment due to time restraints and no decent property rentals being available. I try to get decor up before unpacking most things to make the place feel more like home. Thank all the stars, our expensive TV stand we bought a year ago fits perfectly in our living room except the plugs are to the side of the stand and not hidden behind it. I really wanted to put something there to hide the plugs, but I wasn't 100% what would look best there. When Silk Plants Direct contacted me to share their products with you, I knew a plant is exactly what my living room needed! Check out more information about Silk Plants Direct and how well the plant works out for my living room after the jump! 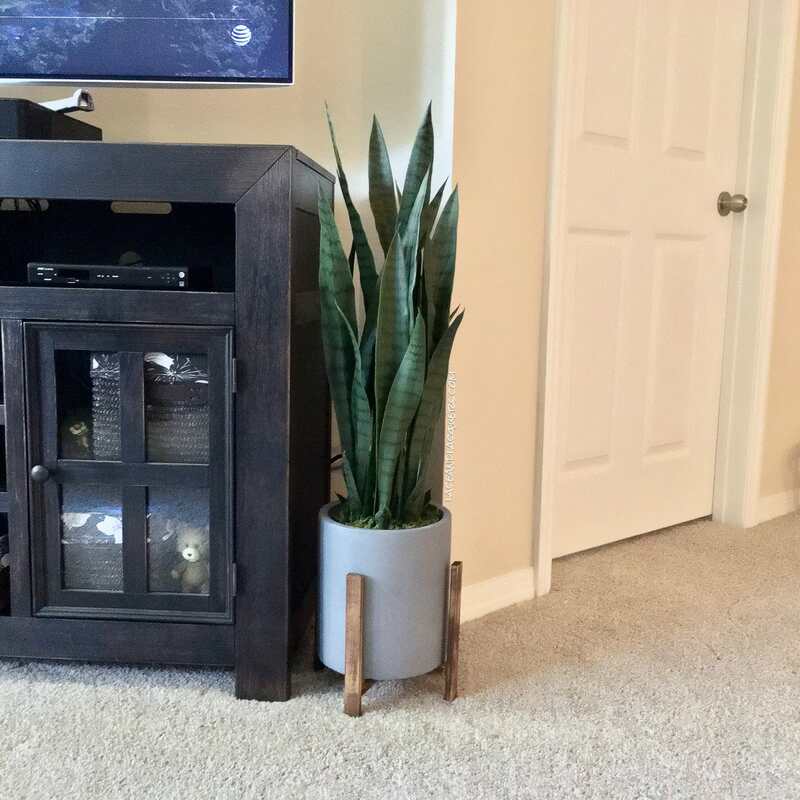 A plant floor level was a perfect idea but I don't trust my forever curious dog, so a faux plant was a great idea haha. Plus, I can keep outside plants alive forever but inside plants are more of a challenge for me. 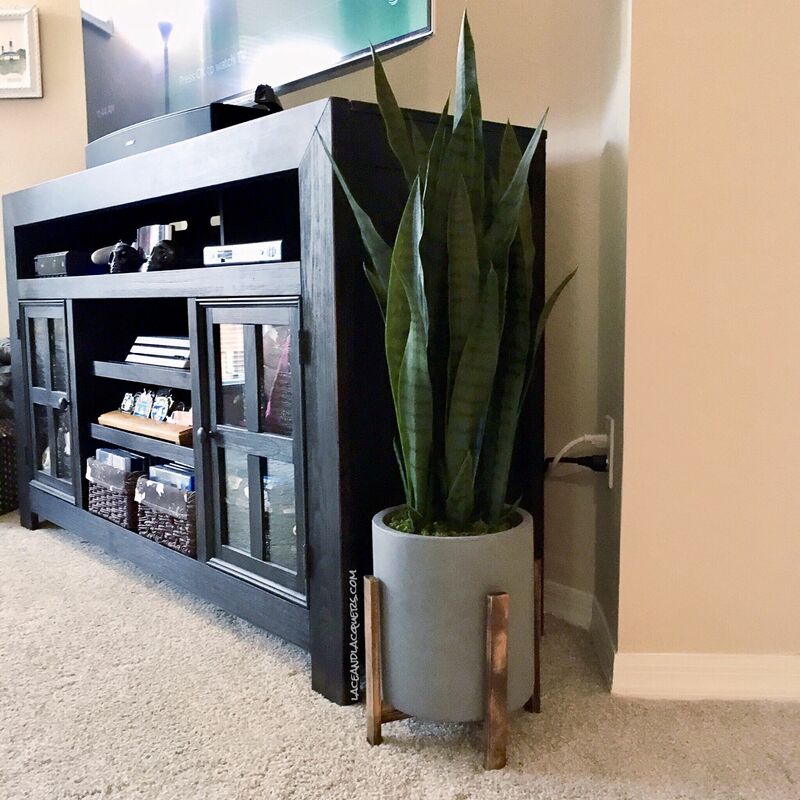 I also needed a plant that would block the cords but also was taller so it wouldn't get out-shadowed by our large, bold TV stand. I browsed through their vast selection of silk flowers and plants to find the perfect fit for my space. Looking through all the pages and learning they have indoor and outdoor faux plants, my decorating brain wheels starting turning haha. They have so many realistic looking plants it made it really hard to choose! 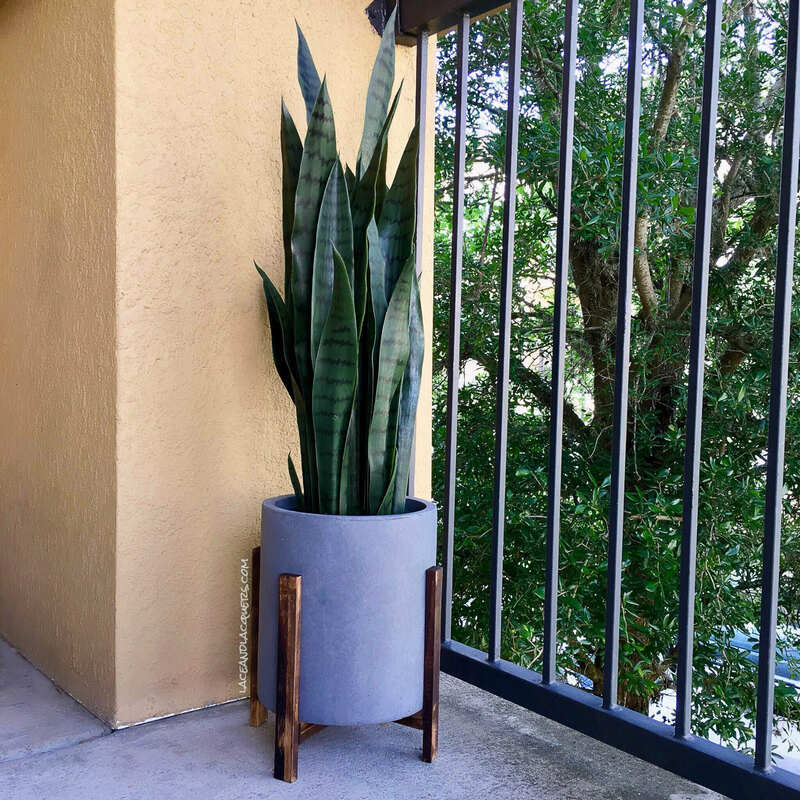 The plant I selected was a potted Sansevieria floor plant, also known as a Snake Plant or Mother In Law Tongue. Their shipping was really quick, my package arrived to my apartment in less than a week! When I received my plant, it was packaged very secure and was protected in a thick, tall box. 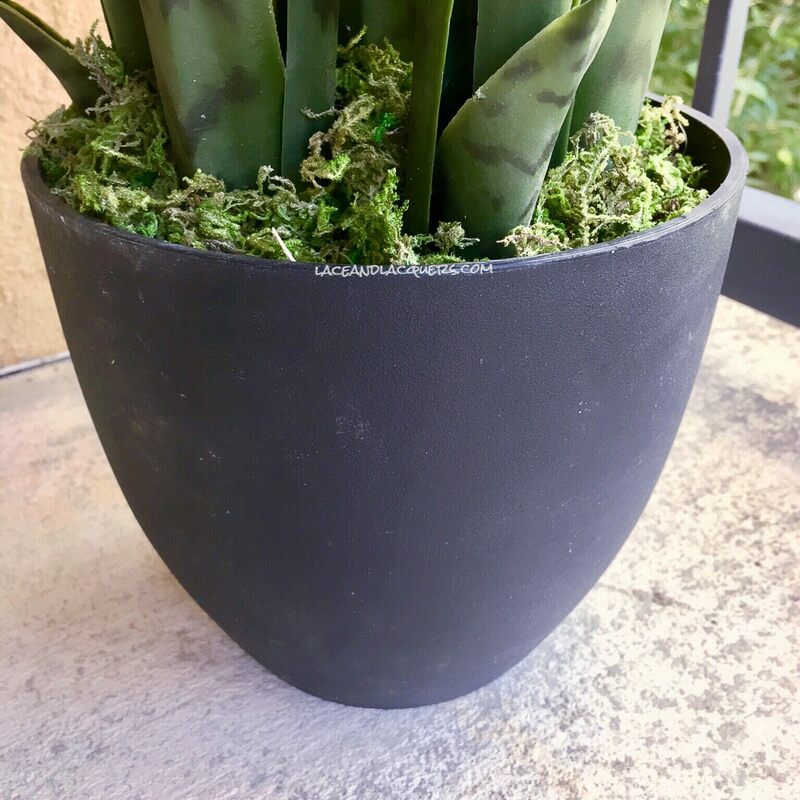 This Sansevieria from Silk Plants Direct is very detailed - from perfectly placed markings on the tops of the tall leaves to the bottom, a perfectly sized pot with added moss detailing. 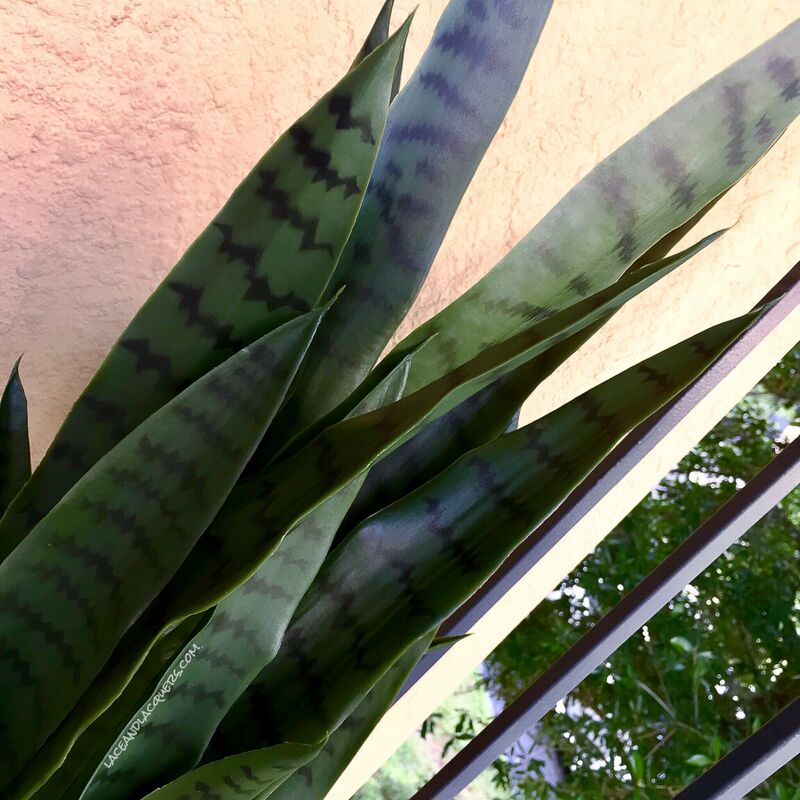 The leaves are nice and thick and they come to a perfect point, mimicking the feeling of a real Snake Plant. You can tell there was a lot of care and though put into planning, researching, and making this plant, it's very well made. After I received my plant, the search was on for a the perfect pot to compliment but not overshadow. While the pot the plant comes in would have been perfect for a tiled floor or on a bathroom counter top, I needed a wider and sightly taller pot to hide the cords. I found a super awesome wood stand with a paper-mâché light grey pot at a home decor discount store for less than $20. It's exactly the type of pots you generally see Snake Plants in. The wood stand was a little too light for my decor, but some walnut wood stain and a little distressing made it perfect. I'm tempted to spray paint the pot to a lighter grey or cream, but I do have a few grey accents in my living room so it works fine while I decide. I was so stoked to put the plant in the pot, it was so hard to wait for the stain to dry. Obsessed hardly describes how much I enjoy the two together. I ended up tricking my husband after he came home from work, he thought I went out and bought a real plant! SCORE! As you can see this plant does a really good job of taking your eye away from the ugly cords next to my TV stand. 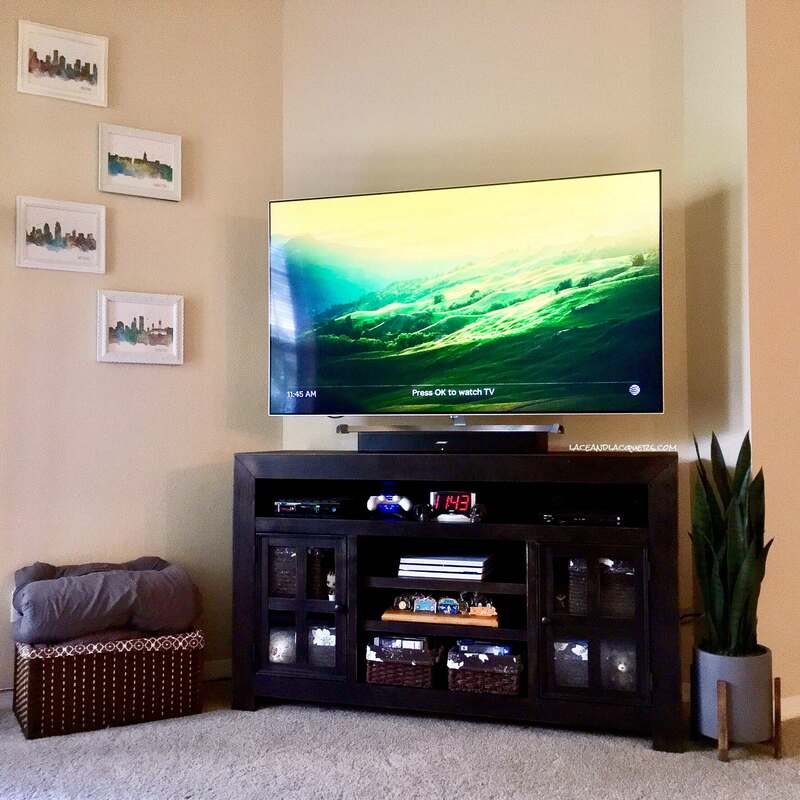 I'm happy the gorgeous plant wasn't overshadowed by my TV stand and it looks fantastic in the space I chose. It really adds to the living room and makes it feel less "we just moved in and we haven't figured our lives out yet" haha. 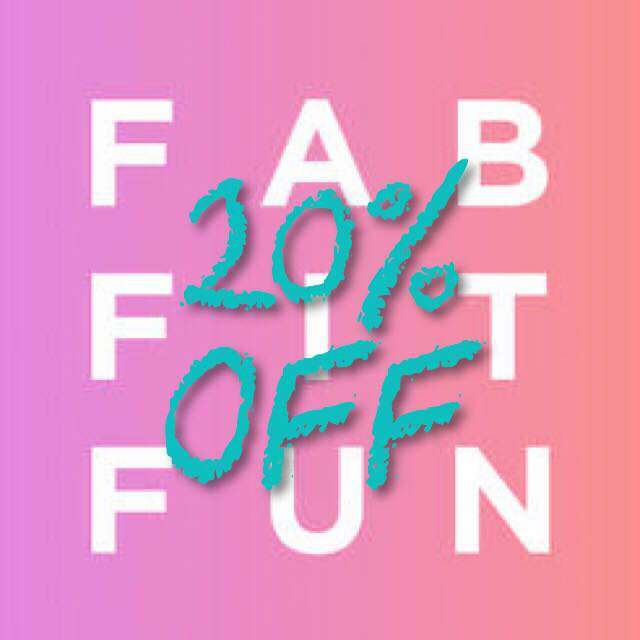 SilkPlantsDirect.com was kind enough to offer me a coupon code to share with my readers! If you'd like to order silk flowers or plants from their site, use code BLOGGER10 to take 10% off your order (custom orders excluded from discount).